"Biodegradable and "Compostable" and the need for clear labeling. Jennifer Killinger, with The American Chemistry Council and Steve Mojo, with the Biodegradable Products Institute sponsored a survey conducted by the research firm APCO. Americans’ Perceptions of the Terms “Biodegradable” and “Compostable” and the Need for Clear Labeling • For most people, this term means that the material is able to decompose or break down naturally (on its own). • Most people believe the material would break down in 1 year or less. • One key attribute assigned to biodegradable by most people is that when it breaks down the material disappears completely - there is nothing left behind. – As a result, adults say the material is not harmful to the environment – There is some sense that you can just throw out the biodegradable material and it will dissolve completely, on its own. Americans’ perceptions are generally consistent with current FTC guidelines; however, some clarification is needed with regard to “reasonable time frame” and “customary disposal.” What does biodegradable mean? Question: If something is labeled as “biodegradable” does it mean it will decompose in…? At least eight in ten U.S. adults believe something labeled “biodegradable” will decompose in their backyard, a landfill or the natural environment. Many claims are misleading. Question: What does the term “compostable” mean? According to survey respondents: • “Compostable” means that the material can be put back into the ground to make soil, mulch, or fertilizer that can be used in a garden or around your home. 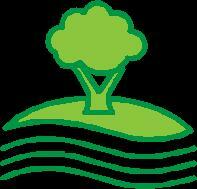 • The chief attribute of compostable materials is that the decomposition is beneficial to the earth. This stands in opposition to biodegradable material which most believe disappears completely. • Compostable materials are natural or organic materials and include leaves, twigs, grass clippings, food products (fruit peels, vegetable parts, etc.) and other materials. • These materials are expected to break down and be usable in a matter of months (3 months to a year), Existing standards, such as ASTM D6400 & D6868 are consistent with consumers’ perceptions of compostable products. The SmartCycle(tm) program is a branded message that is aimed at communicating and reinforcing the message of recycling through the entire value chain from producer to recycler to consumer. It provides a link between the problem of packaging waste and a solution of recycling. 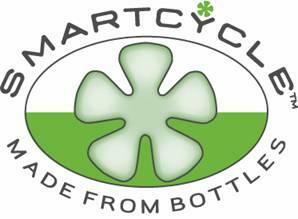 The SmartCycle(tm) "Made from Bottles" brand centers around its distinctive mark that is derived from the petaloid base found on most PET bottles. This mark, which incorporates the tagline "Made from Bottles", as well as the percentage recycled content in the package, indicates the source of the material and provides an important reinforcement message for packagers, consumers and recyclers. These marking are consistent with the FTC's guidelines for non-deceptive environmental marketing claims. Klockner Pentaplast has partnered with Packaging 2.0 to offer SmartCycle(tm) S150, which is a food contact product, produced with renewable energy and guaranteed to contain a minimum of 50% post-consumer recycled bottles. At this point, the only colors that are offered for SmartCycle(tm) are clear and green tint (soda bottle green). As you know, non-bottle packaging is rarely recycled within North American open-loop recycling, regardless of the polymer. Packaging 2.0 is evaluating closed-loop options for these products that would offer an alternate end-of-life option to landfill or waste incineration. Adding pigments to the product reduces its ability to be recycled into another generation of product, further securing it's destiny in the landfill. Delta Circle Industries has taken advantage of the great diversity of business' in Richmond, Va. to build mutually beneficial relationships. This has allowed us to serve our customers needs, even if not associated with our direct manufacturing. Having built these relationships, We can offer Contract packaging services as well as Printing. Some of the additional products we can offer are Die cut card stock, Heat Seal blister cards, Folding carton, corrugated boxes and many more additional products and services.